A few weeks ago, I had my mother, aunt and nieces over for a little luncheon to discuss my sister’s upcoming wedding. I made a super simple lunch menu, full of items that I knew the adults and children would both enjoy! The star of my menu was the new Marzetti Otria Greek Yogurt Veggie Dip, specifically, the Salsa Cilantro flavor. I started my menu with chicken salad sandwiches and added Marzetti Otria Greek Yogurt Veggie Dip and plenty of pita chips and assorted veggies. I had recently been offered the opportunity to review Marzetti Otria Greek Yogurt Veggie Dip and I jumped at the chance! I knew that I already had the luncheon planned and thought that it would be a great product to share with my family. I love Marzetti products, and I have been using the Marzetti line of salad dressings in my own home for ages. I was excited to try the new Otria Greek Yogurt Veggie Dip because it has wholesome ingredients and comes in some pretty exciting flavors! The first thing I noticed when looking over the packages at my local grocery store was that a two tablespoon serving was only 60 calories – and actually had Omega 3, which is pretty rare for a snack dip! Marzetti Otria Greek Yogurt Veggie Dip combines the light and creamy texture of Greek yogurt with a blend of herbs and spices that creates a uniquely fresh dip option. 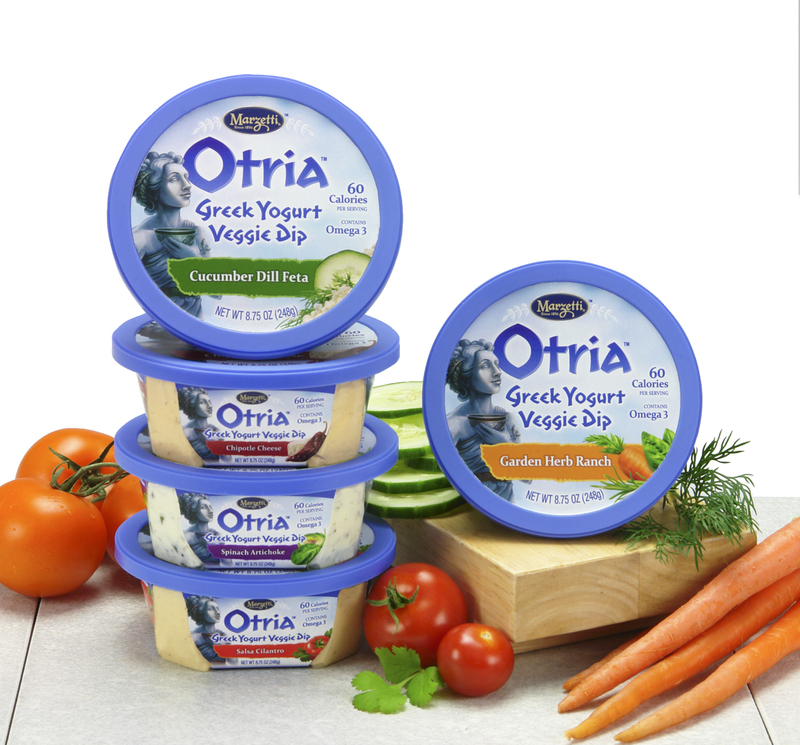 Not only is it an innovative twist on a traditional Greek yogurt, but Otria is available in a variety of palette-pleasing flavors, ranging from tried and true flavor combinations like Garden Herb Ranch and Spinach Artichoke, to exciting Cucumber Dill Feta and Salsa Cilantro, and Chipotle Cheese. I really liked the texture of the dip, it was thick and creamy, and spread easily over the veggies and pita chips. I especially liked that I was able to use it with more than just veggies – it tasted great with the pita chips as well! The Salsa Cilantro had a little bit of heat to it, but it wasn’t actually spicy. It was just enough of a kick to make it interesting – I do not normally like spicy foods, and this was just fine for me! While I served the Salsa Cilantro Otria Greek Yogurt Veggie Dip with an array of sliced cucumbers, baby carrots, celery, grape tomatoes and pita chips, there are lots of innovative ways to use these Otria dips! Mix sliced cucumbers with Otria Cucumber Dill Feta to create a refreshing and yummy salad! Spread Spinach Artichoke over a pizza crust and top it with spinach, artichoke hearts, cherry tomatoes, Kalamata olives and feta cheese to create a delicious appetizer for your next holiday party! I enjoyed the Salsa Cilantro and I think that the Spinach Artichoke will be fabulous prepared according to Marzetti’s suggestion for an appetizer for my family’s Thanksgiving Dinner this week! That dip looks like something I will want to try over the holidays, great review! Why didn’t I ever think of that? 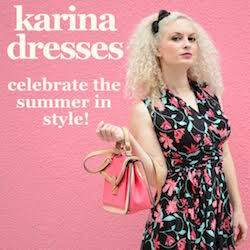 Sounds fantastic!